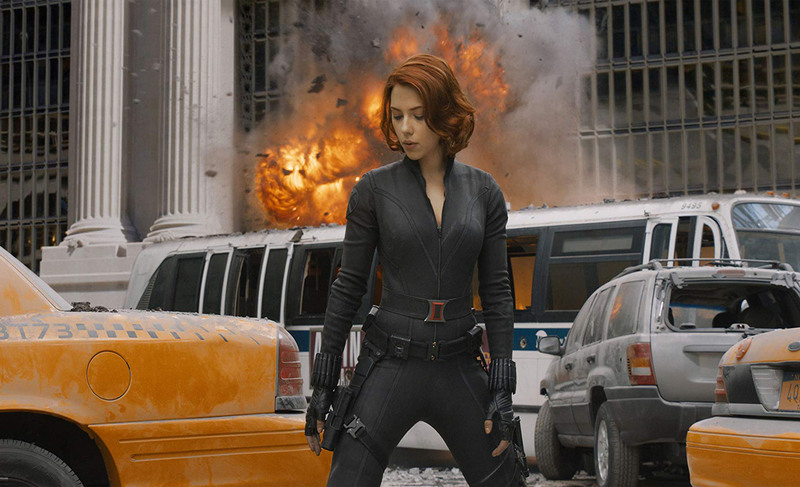 For a year or so now, we’ve been praising superhero cinema for, at long last, embracing women. DC’s Wonder Woman was the first modern superhero film with a female lead, and did wonderfully; Black Panther, despite being led by men, arguably gave stronger roles to its female characters than most films in the genre. Word came that Scarlett Johansson’s Black Widow character, featured in so many Marvel films, will finally get her own vehicle and this spring, Marvel will release its own first female-led solo film, in the form of Captain Marvel. There has, without question, been positive change in representation. Unattainable superhero body types in films? As much as this is worth celebrating though, it’s also time to ask if superhero films are posing a body positivity problem for women (and for men as well, really, but that’s a different conversation). This is not to suggest that there is anything wrong with or artificial about the women we see in these films. However, it does tend to be the case that the level of fitness and the types of so-called ideal body types we often see are borderline unattainable for the vast majority of the female audience – just as very few men can hope to be as fit and muscled as Chris Hemsworth (Thor) or Jason Momoa (Aquaman). Considering some examples, we may as well begin with Captain Marvel, as she’s set to become the most prominent female hero since Wonder Woman. The role will be played by Brie Larson, who is for lack of a better term an ordinary type. That is to say, she is not unusually curvy, or strikingly tall, or anything else that simply can’t be imitated. Larson could have been a terrific ‘everywoman’ hero in the role – and yet, we’re already hearing about the intense fitness regimen she used to get into ‘superhero shape,’ which is a phrase we’ve heard all too often these last 15 years or so of popular hero cinema. As often happens with hero actors, Larson essentially made training a full-time job – something most of us are entirely unable to do – in preparation for the role. As a result, she’ll be presented in a skin-tight Captain Marvel outfit that will make her look as fit and ‘ideal’ as an Olympic athlete. Another example comes from Aquaman, which only came out recently but is proving to be one of DC’s biggest hits yet. The film was well-reviewed and has made lot of money at the box office, and has also produced a video game already, albeit one in the licensed slot arcade space rather than the console arena. That game describes the film as a juggernaut, and it’s not wrong – which is why so many people have become familiar not just with the titular hero, but with Amber Heard, who plays Aquaman’s female counterpart Mera. Somewhat like Larson, Heard is not inherently so different from what we might think of as the average woman, but appears in the film in absolutely flawless shape – by our eye, the very best she’s been in since starting her acting career. And of course, the whole trend really started with Scarlett Johansson, who has long played the role of Black Widow in the Marvel films. Johansson happens to have a naturally curvy figure that many might idealize or envy, and she’s proven to maintain that figure even when getting fit enough to wear what’s effectively a catsuit in the movies. Now again, nothing written above is intended to be critical of the actresses or of anyone who might look like them. Fitness and health should be admired, and no one body type is better than any other. However, it’s still difficult to deny that Marvel and DC are doing with women what they’ve done with men for years, and producing a celebrated image that many people find it just about impossible to live up to. This, as we know, can lead to people having unrealistic expectations of themselves, and thus feeling disappointed or ashamed with their own bodies. Now, this could all still change in the future. We heard last summer about an attempt by Sony Entertainment to adapt the plus-size superhero Faith Herbert of Valiant Comics, which would be an incredible moment on the big screen. And on the other end of the spectrum, the new animated Gwen Stacy from Spider-Man: Into The Spider-Verse, who will reportedly be a focal point of the sequel, is a very slim, very slight character. These two represent more of a range of female body types in superhero cinema, and may indicate that we’ll see more of the spectrum represented in time. For now though, as women gain more prominent roles in superhero films, it’s important for girls and young women to look at these films the same way boys and young men should: they’re just films, and there is no pressure to look like a cinematic superhero in the real world! What do you think about the ideal body shapes in superhero films? I’d love to know! This is a collaborative post but this does not influence my opinion.